The tête de boeuf (commonly referred to as head of the bull, although a direct translation from the French is “head of beef”) stitch, which also goes by the names of ox head and detached wheat ear, presents much confusion to those who wish to explore its origins. As I reviewed my present-day reference books on embroidery stitches, I found two very different stitches (or groups of stitches) illustrated as the tête de boeuf stitch (compare Figures 1A and 1B to 2A, 2B, and 2C). 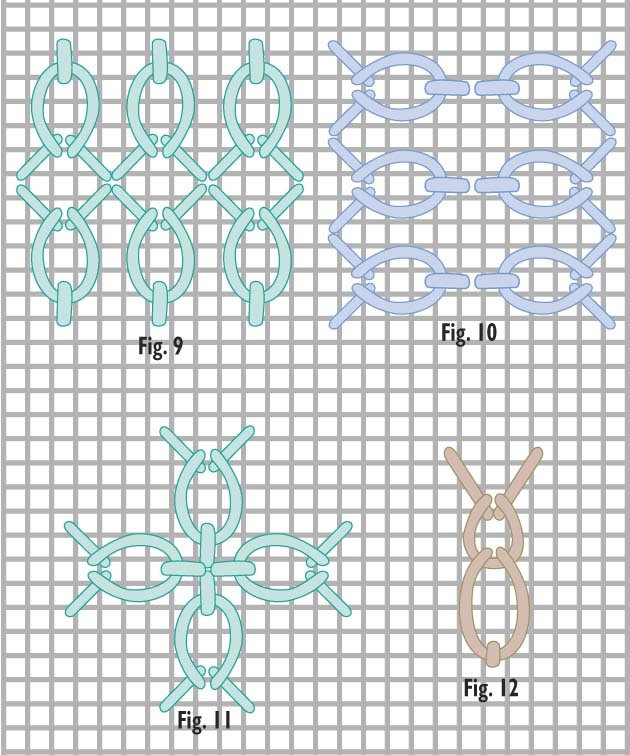 Most nineteenth-century needlework books, including The Dictionary of Needlework by Sophia Caulfeild and Blanche Saward, published in the 1880s, illustrate the stitch as it appears in Figure 1A. My references suggest that the tête de boeuf stitch was probably developed in the 1880s, and I firmly believe that Figure 1A or 1B illustrates the correct way to stitch it. Besides the diagrams in the older references, another convincing fact is that this stitch actually resembles the head of a bull. The two upper stitches (although sometimes a single stitch as in Figure 1B) look like the horns of a bull, while the lower two stitches resemble the bull’s head and neck. You’ll notice in Figures 2A, 2B, and 2C—from other references—that the very same stitches are used (one or two straight stitches and a single detached chain or lazy daisy stitch), but the stitches are arranged differently; the straight stitches are below the detached chain stitch. This different placement results in a stitch that no longer looks like a bull’s head, but rather like a flower bud, a lovely stitch but one that, in my opinion, doesn’t quite qualify as a tête de boeuf. My research has convinced me that sometime during the beginning to middle portion of the twentieth century, some author or designer accidentally made a simple error in the placement of the straight stitches and now we have this confusion, still perpetuated in many embroidery books. Regardless of the confusion, I think we all can agree that a bull should have its horns on the top of its head! 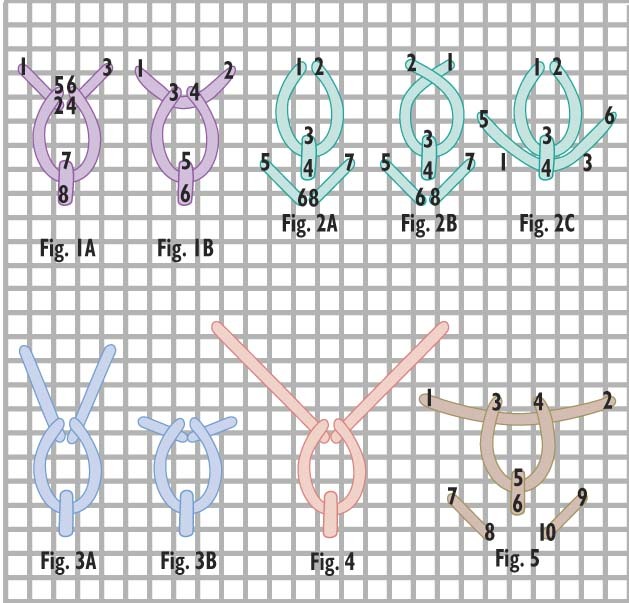 Even if we consider the stitch illustrated in Figures 1A and 1B as the “true” tête de boeuf, there are many interesting stitch variations and combinations. The length of the “horns” (Figure 3) may differ depending upon whether you prefer a Texas longhorn or Hereford. The distance between the tips of the horns may also change (Figure 4). Regardless of the size of the horns, be sure to stitch the detached chain stitch somewhat loosely; otherwise you’ll get a very narrow bull’s head and lose the stitch’s unique identity. 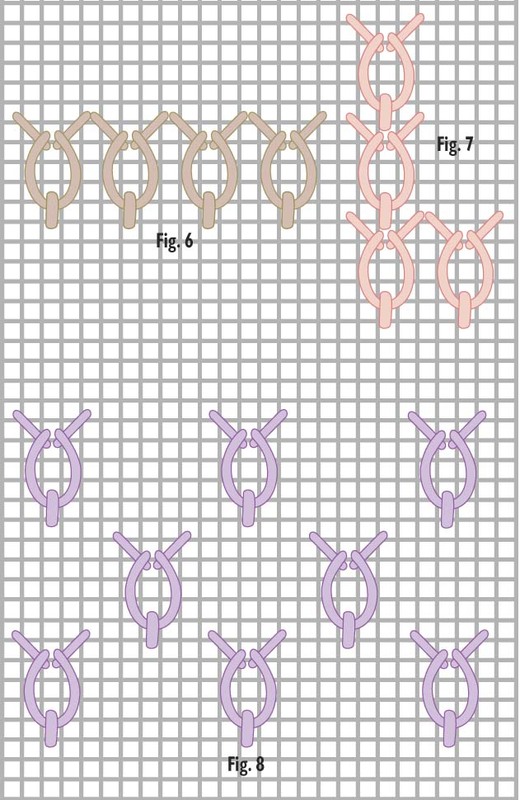 Figure 5, based on a stitch in Irene Hirst’s Complete Book of Needlework (1963), illustrates still another tête de boeuf variation. Here, the detached chain stitch is open at the top, with additional straight stitches at the base of the stitch. Use the tête de boeuf stitch as an isolated single (Figures 1A and 1B), line (Figure 6), border (Figure 7), or filling stitch (Figure 8) freely scattered or arranged in an orderly fashion resembling a checkerboard. Although the tête de boeuf stitch is often categorized as a filling stitch in embroidery books, it’s also an effective horizontal, vertical, or diagonal line stitch. It looks good grouped together in many unique and decorative patterns (Figures 9, 10, and 11). Furthermore, with the addition of another chain stitch, this stitch may quickly be transformed from a bull’s head into a rabbit (Figure 12) and thus the beginning of a farmyard menagerie. Any plain or evenweave fabric is suitable as the ground fabric, as is practically any thread—flower thread, coton à broder, stranded floss and silk, wool yarn, silk ribbon, silk, pearl cotton, metallics, variegated, linen—as long as it is compatible with the fabric. A round or tightly twisted thread makes a more distinctive head-and-horns pattern than multistranded or fuzzy threads. The weight of the thread will also determine the size of the stitch. Enjoy this stitch, whichever variation you prefer. This first installment of Deanna’s stitch tutorials originally appeared in the January/February 2002 issue of PieceWork, along with instructions for making a stunning Scottish Sampler. Deanna is PieceWork’s needlework technical editor; she previously was the editor of The Needleworker magazine. 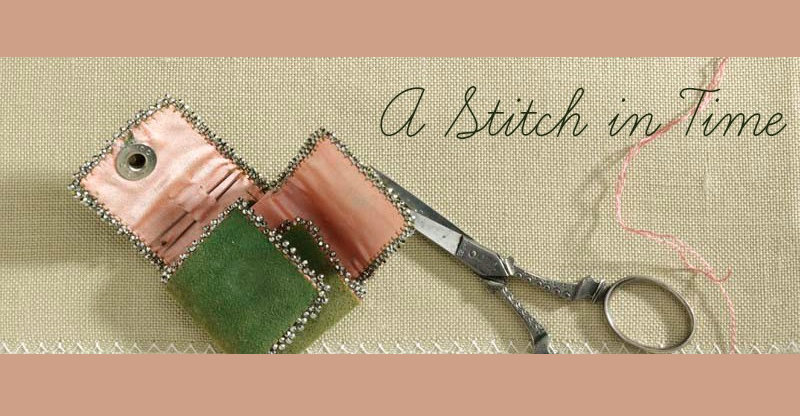 Stay tuned for more stitch tutorials from Deanna in the weeks ahead! Read the entire “Stitch in Time” series! Featured Image: Scissors and needle case courtesy of Loene McIntyre. Photo by Joe Coca. 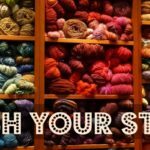 Flash Your Yarn Stash for National Pack Rat Day!